Sony's recently launched PSP Go handheld console has been taking some flack from gaming critics because of SCE's pricing strategy, with many noting that the £225 RRP was both too high and too close to the cost of the new PS3 Slim. It seems that a number of UK retailers are taking note of the critics and are already cutting back the price of the new Sony PSP Go to £199, less than a week after the console's launch. 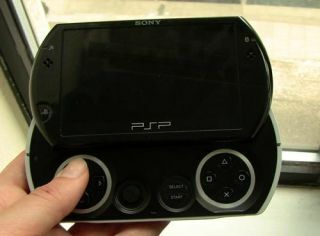 Amazon UK, HMV, Game and Play.com are already selling the PSP Go for £199. And while Sony is adamant that the first week sales of its new handheld are "in line with expectations," it seems clear that a sub £200 price point is closer to that 'sweet spot' for most gamers. Right now, until we get some concrete hardware sales figures in later next month, it is too early to tell one way or the other if Sony's PSP Go pricing strategy has hampered the launch of the new gaming console.